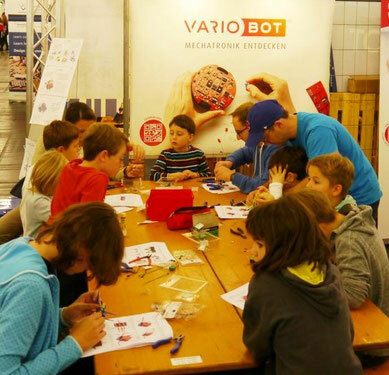 varikabi is an easy-to-build, plug-in robot kit with a highly sensitive sensor system and a variable control circuit: an exciting and playful start to learning electronics! The patented combination of three light sensors makes it possible for varikabi to react especially sensitive to its surroundings, recognizing objects, obstacles, light, shadows, and ground markings due to the slightest color tone contrast. 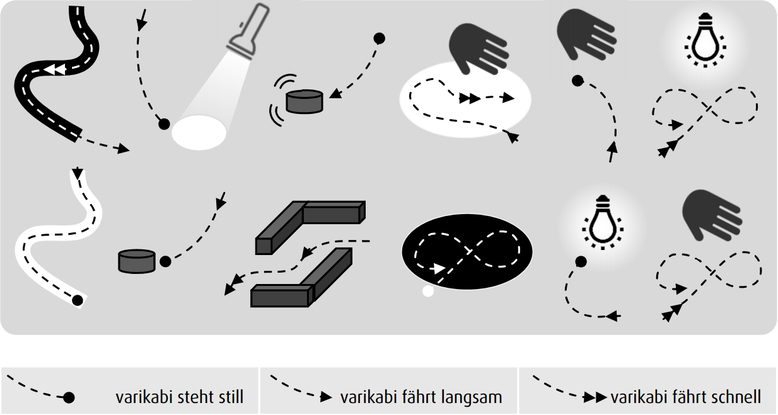 Depending on the chosen function, varikabi even adjusts its direction and speed to match its environment. Its "brain cells" are simply two transistors, making it even more amazing that it can do what it does. Using a breadboard, the various control circuits are assembled in the wink of an eye, and by adjusting the sensors in various ways, you can explore 12 different functions and astounding behaviors one after another. In this way, you playfully learn the basics of electronics. Whatever color of your kit, varikabi can be built as a dog, sea lion, mouse, giraffe, beetle, bird, or frog. varikabi is available in blue, red, green, yellow, neon green, white/pink and black. 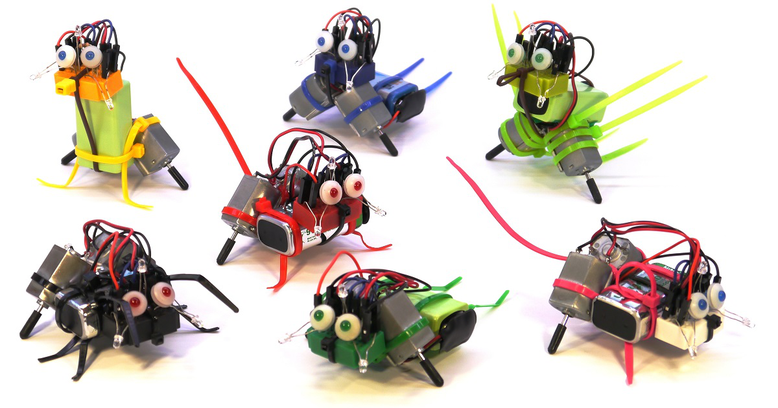 The colored cable ties also serve as legs, feathers, antennae, ears, or tail. You can choose one of the various animals given in the instructions or let your imagination do the work. a high-quality version done with the construction toy Fischertechnik. Varikabi-FT is built with 41 original Fischertechnik parts and can be combined with additional Fischertechnik components. 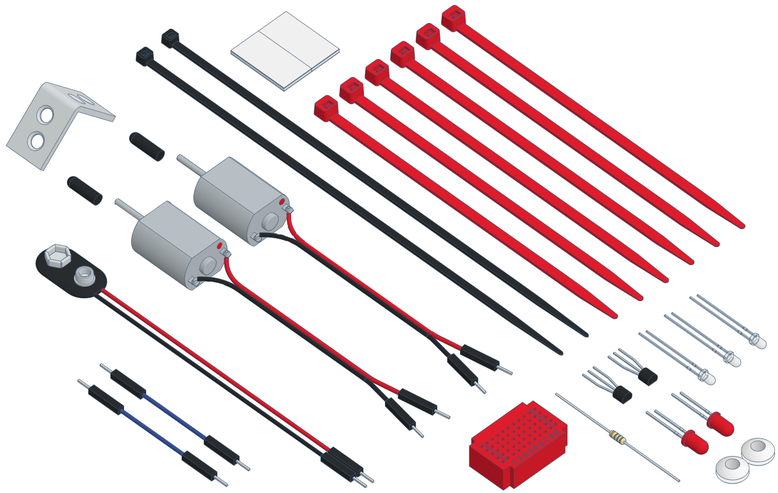 Varikabi-FT uses the same highly sensitive sensor control that allows 12 various functions as the original varikabi plug-in kit with cable ties. It takes about one hour to build varikabi. You will need a 9 V battery, a pair of pliers, and a wire cutter. There is no need to solder. 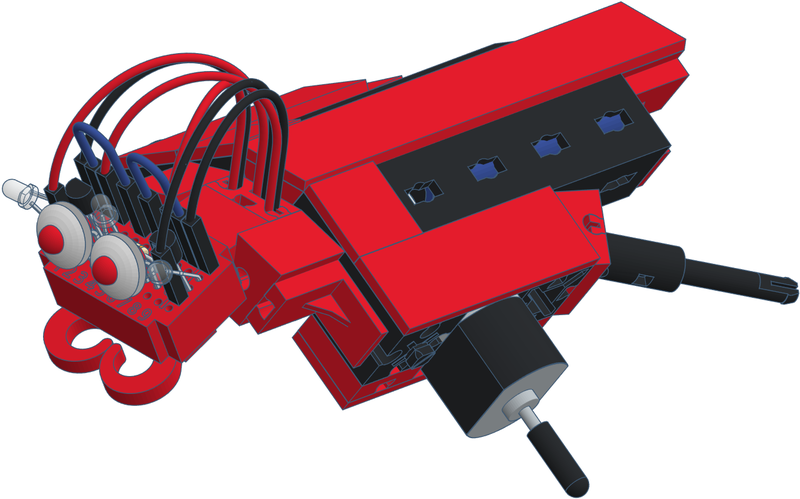 The assembly and experimentation manual is very detailed and has numerous illustrations, showing you how to put your “cable tie robot” together step-by-step. It even explains how the circuits work and how versatile they can be implemented. 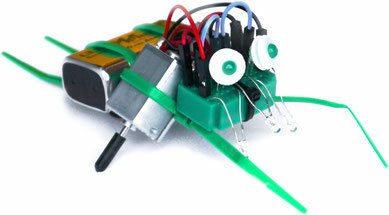 varikabi is the perfect resource for encouraging students to learn about electronics and robotics. 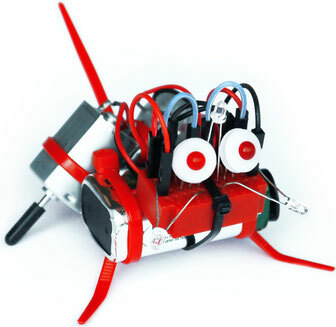 The multifunctional mini-robot is an exciting and fun building project as well as a basic, hands-on tool for teaching theory. Its easy assembly assures an initial feeling of success, while its versatility provides plenty of opportunity for creative experimentation, contests, and games. varikabi is not only ideal for electronic courses but also makes children’s birthday parties an unforgettable experience! As well, we will gladly facilitate workshops given at your establishment. varikabi is available as a single kit as well as in a set of seven. We also offer affordable bulk discounts. Just send us a short, descriptive request and we will send you a quote: info(at)variobot.com . "I like your idea a lot. The set up is simple yet the content is rich. I want more people to know this idea. Thank you for making the world a better one. That is the whole point of science and engineering."